January 5, 2018 by Beeraj Patel, Esq. 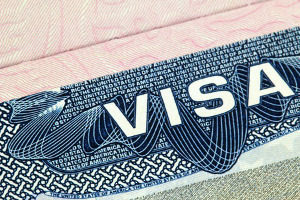 People from other countries who are planning to work in the United States can get an H1B Visa. The H1B Visa is a non-immigrant visa that allows employers in the US to temporarily hire foreign professionals on specialty jobs for a brief period of three years—which can be extended to 6 years. Issued by the United States Citizenship and Immigration Services (USCIS), the current law has a 65,000 limit that can be issued to foreign nationals every year. Moreover, an additional of 20,000 B1Bs are also available to foreigners holding a masters or higher degree from US universities. People who have been granted this visa can work for a maximum of six years—only if he or she is eligible for a longer period of employment. 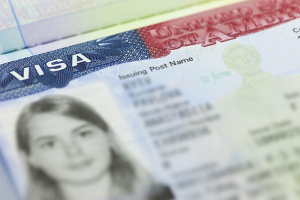 The advantage of getting this type of visa is that you can work legally in the United States with a non-immigrant status. You can also travel in and out the country until the visa expires. If you have family members coming with you, your spouse and unmarried children below the age of 21 can apply for an H4 visa. If a foreign worker with an H1B status quits or gets dismissed from a sponsoring employer, the worker needs to reapply and be granted a change of status or even find another employer. If all these things are not possible, they need to eventually leave the US and go back to their home country. January 1, 2017: The USCIS changed the rules by allowing a grace period of up to 60 days to those whose H1B Visas will expire. But if they have a green card application and the status is still pending, then they are allowed to stay in the country. March 3, 2017: The USCIS announced that starting on the 3rd of April 2017, they will suspend temporarily the premium processing for H1B Visa petitions until further notice. It was only on the 3rd of October this year that the premium processing resumed. April 18, 2017: President Donald Trump signed the Buy American, Hire American Executive Order that sets directs federal agencies to propose important reforms to the current H1B Visa System. Many critics believe that this proposed reform is a way to decrease the number of non-immigrant workers entering the United States and to prioritize the local market labor. The current Executive Order set by President Trump resulted in putting many H1B petitions on a halt and USCIS ended up denying more than one out of four applications between January and August this year. Moreover, face to face interviews became mandatory for each visa category. Whereas in the past, face-to-face interviews are required on a case-by-case basis only. This has added one more step, thus making the process lengthy. It seems that it is harder for non-immigrant workers to get an H1B Visa lately. To make matters worse, a committee has passed a bill recently that increased the required minimum salary of H1B visa holders from $60,000 to $90,000 thus making it harder for employers to pay the salary of a potential H1B petitioner. Lastly, the looming execution of EO Buy American, Hire American Act, all renewals for H1B will not be automatic compared to the previous years. Renewals will be adjudicated based on the merits. This will definitely make it a lot harder to get H1B visa renewed in the future. As a foreign worker aspiring to work in the United States, it is crucial that you know about the news and updates on this particular visa. It is important to take that while some of the proposed changes have passed the initial committees, it is the role of the Senate and Congress to drive the final nail into the coffin. So, while some changes have not been passed as a law yet, H1B applicants should brace themselves for future restrictions.